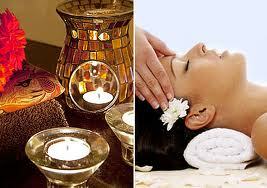 Jurlique Organic Facial Treatment to relax your mind and senses. Each skin-pampering facial includes exfoliation, personalized treatment and custom mask application, followed by a stress-reducing neck, shoulder and hand massage. Licensed estheticians will analyze your skin and match a signature Jurlique protocol that's customized to your skin’s unique needs. Skin Soothing Facial (Comforts Irritated Skin) - Bring harmony to your complexion with gentle effectiveness. This relaxing facial is specially designed for skin that is sensitive or reactive to environmental elements. Our unique plant extract treatment blends are renowned for balancing the skin and easing redness, irritation and dryness. Enjoy the soothing qualities of Calendula and our exclusive Moisture Repair Boosting Serum that will leave your skin feeling like new. Perfect for rosacea-like skincare issues. The tips that you offer is so good. I have been using you site for long time. There is so much to get from it. Keep up the good work.